Giving kids the tools to be the best they can be. Helping youth become responsible caring citizens and acquire skills for participating in the democratic process is the main thrust of these programs. They also develop leadership skills and provide opportunities for planning, decision-making, contributing to Club and community, and celebrating our national heritage. Programs empower youth to support and influence their Club and community, sustain meaningful relationships with others, develop a positive self-image, participate in the democratic process and respect their own and others’ cultural identities. The PLOT Club is a small group leadership development club for young people ages 13 to 18. PLOT Clubbers elect officers, choose their own activities and plan and implement community service projects. Additionally, the PLOT Club serves to promote staying in school and graduating and is supported by the Taco Bell Foundation. Sponsored by the Reader’s Digest Foundation, the National Youth of the Year Program is designed to promote and recognize service to Club and community, academic performance and contributions to family and spiritual life. Competition begins with each Club selecting a Youth of the Year who receives a certificate and medallion then enters state competition. State winners receive a plaque and $1,000 scholarship then enter the regional competition. Each of the five regional winners receives a $10,000 scholarship and enters the national competition held in Washington, DC. The National Youth of the Year receives an additional $15,000 scholarship, totaling $26,000 in scholarships, and is installed by the President of the United States. With these programs, we help kids establish a positive sense of self and healthy habits that they can carry throughout the rest of their lives. Triple Play, sponsored by The Coca-Cola Company and the WellPoint Foundation, is a dynamic wellness program currently offered in Boys & Girls Clubs that demonstrates how eating right, keeping fit and forming positive relationships add up to a healthy lifestyle. The goal of the Triple Play program is to improve Club members’ knowledge of healthy habits; increase the number of hours per day they participate in physical activities; and strengthen their ability to interact positively with others and engage in positive relationships. Triple Play is offered to all ages by trained staff. The SMART Moves (Skills Mastery and Resistance Training) prevention/education program addresses problems such as drug and alcohol use and premature sexual activity. The program uses a team approach involving Club staff, peer leaders, parents and community representatives. More than simply emphasizing a “Say No” message, the program teaches young people ages 6 to 15 how to say no by involving them in discussion and role-playing, practicing resistance and refusal skills, developing assertiveness, strengthening decision-making skills and analyzing media and peer influence. The ultimate goal: to promote abstinence from substance abuse and adolescent sexual involvement through the practice of responsible behavior. Kinship care programming provides knowledge and resources to extended family members (grandparents, aunts, uncles, cousins, etc.) who have assumed the primary caregiver role. Father involvement programming that helps fathers take a more active, positive role in their children’s lives. Outreach, recruitment and retention activities help Clubs engage and integrate parents, other family members and children into Club life. Family Advocacy Network (FAN) Club, for parents and caregivers of Club members participating in SMART Moves, empowers parents through leadership, educational and social activities and individual support. Economic opportunity programs help family members advance their educations and build their skills so they can secure stable jobs with increased earnings. 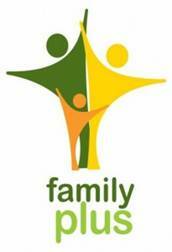 The Family PLUS Web site is full of information to help our Club’s families. These programs help youth create aspirations for the future, providing opportunities for career exploration and educational enhancement. Programs in this Core Program Area enable youth to become proficient in basic educational disciplines, apply learning to everyday situations and embrace technology to achieve success in a career. Created nationally with the Charles Schwab Foundation, this financial literacy program was designed specifically to help teens (ages 13 to 18) expand their knowledge of money management and learn the skills that lead to financial independence and well-being. The Money Matters: Make It Count program consists of five components: Teen Personal Finance Guide, Program Facilitator’s Guide, Money Matters Web site, Schwabe Employee Volunteer Program and the Money Matters Awards. Via the volunteer component, Schwab employees can pass financial expertise to Club teens through their volunteer involvement. A comprehensive homework help and tutoring program, POWER HOUR is designed to raise the academic proficiency of Club members ages 6 to 12. Programs in this core area enable youth to become proficient in basic educational disciplines, apply learning to everyday situations and embrace technology to achieve success in a career. Hosted by our friends at Mannix Pools & Grills, this is an awesome event that benefits our Club. Join us on Sat. February 23rd, 2019 to sample some incredible food from top-notch chefs from around the country. Learn more!.